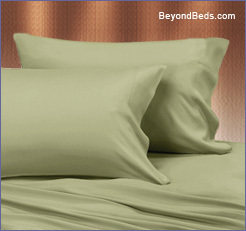 What is Viscose from Bamboo? Viscose is how bamboo fibers are characterized, under the Textile Fiber Products Identification Act and the Textile Fiber Rule, textile fibers must be labeled and advertised in accordance to the FTC. Bamboo threads are produced from the Bamboo leaves and the soft, inner pith of the hard bamboo stalk that is extracted using steam. 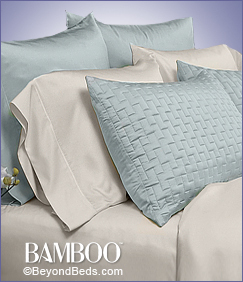 The bamboo pulp is then mechanically processed into a thread made of Bamboo. 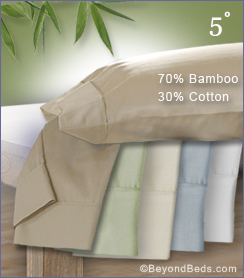 Misconception: Bamboo textiles are made from the actual fiber of the hard bamboo stalk. If this were true the result would be an extremely coarse and stiff fabric. 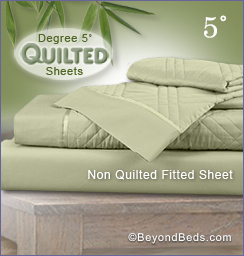 Fits Mattresses Between 12” - 18” in depth.